During the seven days of the trial, which received scant media coverage, Rice attracted the most attention. But little of her testimony actually got out of the courtroom, and little of what did get out illuminated the political context of the government’s case against former CIA officer Jeffrey Sterling. A heavy shroud over this trial — almost hidden by news media in plain sight — has been context: the CIA’s collusion with the Bush White House a dozen years ago, using WMD fear and fabrication to stampede the United States into making war on Iraq. 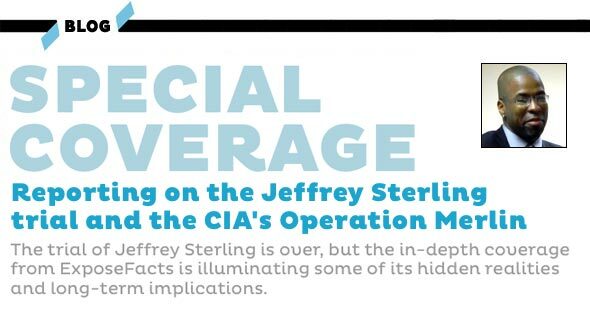 And part of the ongoing context of the Sterling case has been the Obama administration’s unrelenting pursuit of Sterling for allegedly leaking classified information — revealed in the last chapter of a book by James Risen — about a now-15-year-old CIA operation that’s far more suitable for Freedom of Information Act disclosures than criminal prosecution. The jury is weighing nine felony counts, including seven under the atrociously misapplied Espionage Act. It was just six weeks after the invasion of Iraq when, at the end of April 2003, Rice hosted a meeting at the White House to tell representatives of the New York Times that the newspaper should not report on Operation Merlin, the CIA’s ill-conceived and dangerous maneuver that had provided a flawed design for a nuclear weapon component to Iran three years earlier. The Times management caved within a week. Only Risen’s book State of War, published in January 2006, finally brought Operation Merlin to light. Rice was in her usual smooth form at the Sterling trial. Emphatic that the CIA’s Operation Merlin was hardly known to anyone, Rice testified: “This program was very closely held. It was one of the most closely held programs during my tenure.” Yet the CIA manager in charge of Operation Merlin (“Bob S,” who appeared at the trial behind a screen) testified that the operation was known to more than 90 people. Helping to lay groundwork for the Iraq invasion, Rice was a key enabler for the CIA’s slam-dunk mendacity about Saddam Hussein’s purported weapons of mass destruction. More than a decade later, she has used the Sterling trial as an opportunity for more distortion of the historical record, as though her quash-the-Merlin-story meeting at the White House in 2003 was free of self-service. 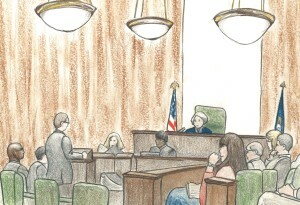 But one of the prosecution’s main concerns, no doubt shared by Rice, had to do with insulating the trial from intrusive context — a context that could explain why any whistleblower or journalist might want to expose and debunk Operation Merlin — an operation targeting a supposed nuclear weapons program in Iran, a country that the Bush administration was eager to attack with the goal of regime change. But, no matter how great the government’s lawyers may be, the case of United States of America v. Jeffrey Alexander Sterling has everything to do with politics and the CIA’s reputation.